The Rocks, a fashionable area in Sydney, Australia, was once home to English convicts. Its name comes from the quarries where they hewed rocks. After the American colonies gained independence, England selected eastern Australia, then uninhabited by Europeans, as the new overseas dumping ground for its convicts. On Jan, 26, 1788, its anniversary celebrated as Australia Day, an English fleet brought 850 convicts to the southern shore of what is now Sydney Harbor. The prisoners built their own homes from mud and wood among the nearby sandstone quarries where many were forced to work. After Sydney became a port city, the quarry area, called The Rocks, was home to brothels and bars serving incoming sailors. The area’s reputation took more hits when it was quarantined during the plague of 1900 and when the approach to the Sydney Harbor Bridge sliced through its western side in 1923. By mid-century, Sydney’s city planners proposed leveling all the remaining structures in the dreary slum and replacing them with high-rises. A protest by residents of The Rocks, some tracing their families’ roots in the area to 1800, led to a 1975 agreement that buildings, including residences, would be preserved and important buildings restored. 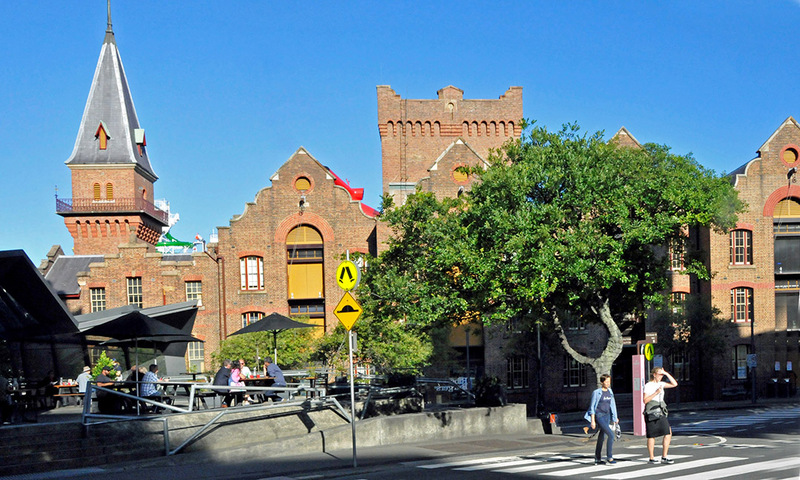 When cruise ships began docking nearby, restored buildings in The Rocks were transformed into popular tourist destinations. The picturesque ASN Co. Building, once a warehouse, now houses a gallery and retail shops. Other restored buildings became museums and restaurants. The area under the Sydney Harbor Bridge is now a park, with a spectacular view of the Sydney Opera House. Sydney’s sophisticated young people come to The Rocks to take advantage of its now respectable bars and pubs, two claiming to be the oldest in Sydney. The place once to be avoided at almost all costs has become the place not to be missed.